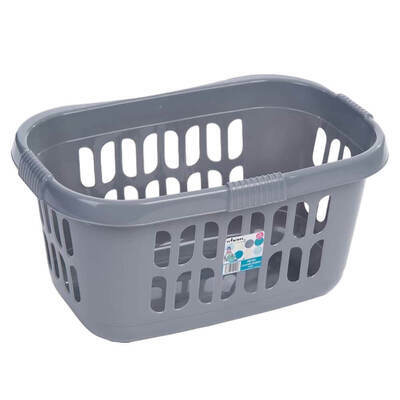 Whether you're catering to a domestic environment or a professional one, our Laundry Basket will serve your needs. It has been designed to help the members of your team transport both dry and damp clothes to the designated locations. This deluxe hipster basket has been constructed with a hardwearing and lightweight plastic. The oval lip shape has an inward curve at one end to ensure comfortable carrying. It boasts a large capacity - suitable for carrying at least one or two full loads. The open cut design allows clothes to breathe and reduces the risk of moisture damage. The smooth surfaces are easy to clean and maintain which is ideal for busy environments.